Port Moresby (EMTV): Preparations for the Solomon Islands Investment and Trade Mission are in the final stages. Minister Maru and Managing Director of Investment Promotion Authority Ivan Pomaleu discussed the trade fair that will take place next week in Honiara, Solomon Islands. The Minister said PNG SME’s and the private sector must target the investment opportunities in the Solomon Islands. 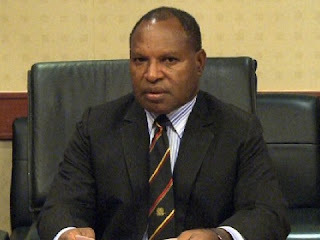 “PNG will stage its biggest ever trade fair in the Solomon Islands to promote PNG companies and for us to go and look for investment opportunities,” says Maru. The Investment Promotion Authority is working with the PNG High Commission in Honiara and the Solomon Islands Chamber of Commerce & Industry in match making PNG companies and the Solomon Islands business interest. The government backed its support towards the trade fair by contributing 250 thousand kina to subsidize the cost of travelling and hosting the Trade Fair. Over 70 business delegates representing 53 companies from various industries will make up the trade and investment delegation. Minister Maru is also expected to pay a courtesy visit to the Solomon Islands Prime Minister and his Solomon Islands counterpart minister as well.